What’s on the Dog’s Bucket List in the Subaru Impreza Commercial? Subaru’s dog commercial for the Impreza will tug on your heartstrings–but what exactly is on the dog’s bucket list? Earlier this month, Subaru put out the most touching commercial I have ever seen. 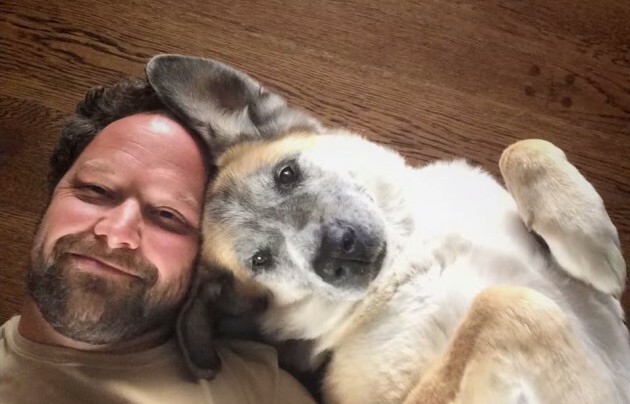 Called “Dream Weekend,” it follows a man and his dog, celebrating the latter’s 14-and- ¾ birthday. The saddening realization that careful viewers will come to is that there is probably a reason the man is celebrating the dog’s 14-and-¾ birthday, and not waiting until his 15th. Willie Nelson’s “I’ve Loved You All Over the World” sets the mood as we watch the man and his dog cross off items on a bucket list, one by one, while they travel around in a Subaru Impreza. We don’t get to see every item completed, however–it is, after all, a short commercial. For just two brief moments, we get glimpses of the dog’s bucket list, but it’s not long enough to read everything that the pair are trying to accomplish. 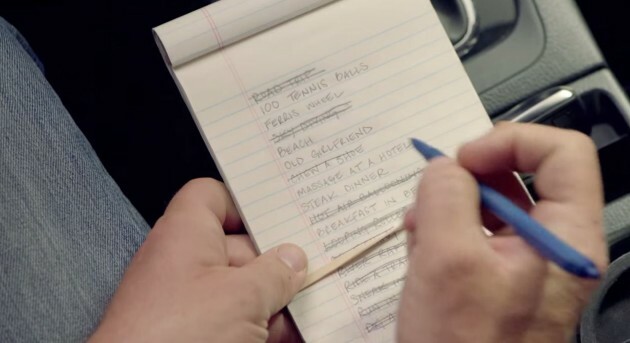 In an effort to see just what the duo are up to, I freeze framed the list on YouTube and tried to determine everything that’s on the bucket list in the Impreza ad. The first one, which is crossed off, is clearly Road Trip. What’s engaging about this entry is that the man and his dog are using the road trip to cross off everything else (using an Impreza, of course). Other crossed off list items that we don’t actually get to see include Sky Diving, Looping Roller Coaster, and Hot Air Ballooning. It’s hard to make out some of the others at first, as the hand is covering them up throughout the first shot, but in the second glance we get at the list, we can see that they’ve crossed off Ride a Train, River Rafting, Dig a Big Hole, Sneak into a Hotel Pool, and Run in the Park. Ferris Wheel and Massage at a Hotel also get crossed off between the first and the second shot, though we don’t get to see the pooch having those experiences. There’s also a rubber band covering up another crossed off item, but we never get to see what that one is. Let the speculating continue! Throughout the commercial, we do get to see him accomplish some of the uncrossed items, like 100 Tennis Balls, Old Girlfriend, Steak Dinner, Breakfast in Bed, and Chew a Shoe. 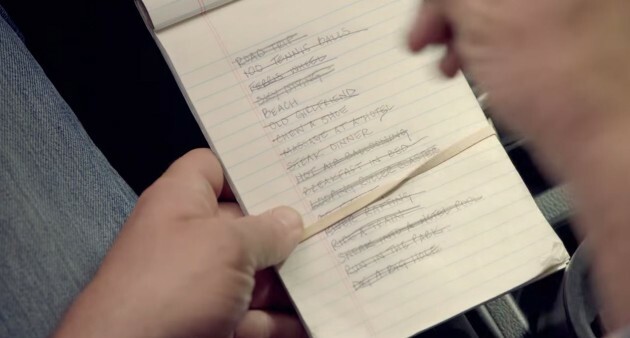 The commercial ends with the dog and his best friend on the Beach–the last item on the list to be crossed off. It’s a heartbreaking end, as viewers assume this signals the final days for the four-legged adventurer. But there’s also a reassuring peace to it all—he has crossed off everything and said his final goodbyes to his best friend. Haven’t seen the commercial yet? Grab a box of tissues and get ready for some good, old catharsis.